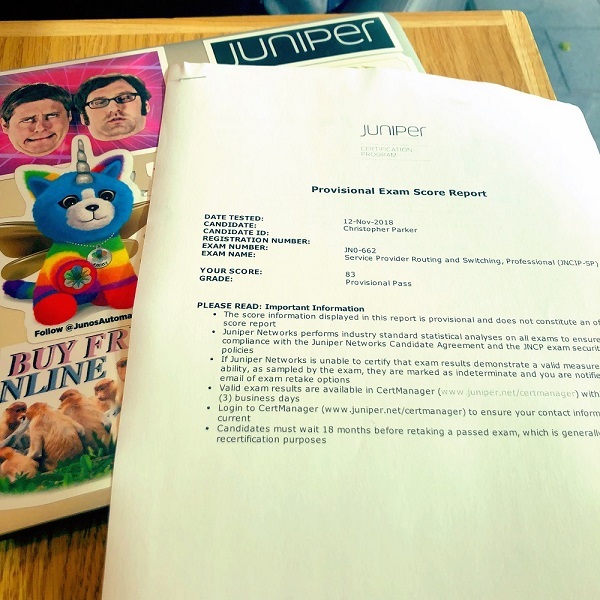 I’m delighted to say that today I passed Juniper’s Professional Service Provider cert, the JNCIP-SP. On the whole I found it to be a really fair exam, with good questions that reflected realistic knowledge both in the real world and of the configuration. There were definitely a few exceptions to that rule – aren’t there always? – but on average, it was a great exam, and I’m extremely proud to have passed it. One criticism that some folks have of Juniper certs is that it can be very difficult to acquire the learning resources. People often point to the CCNA/CCNP Routing and Switching, where Cisco Press print books specifically for the exams. Here’s the thing about those Cisco books though: they only contain about half of what you actually need to pass the exam. You’re (rightly) expected to not just read the official books cover to cover, but to also read around the subject, read posts on Cisco’s website, watch videos, and of course, lab lab lab. 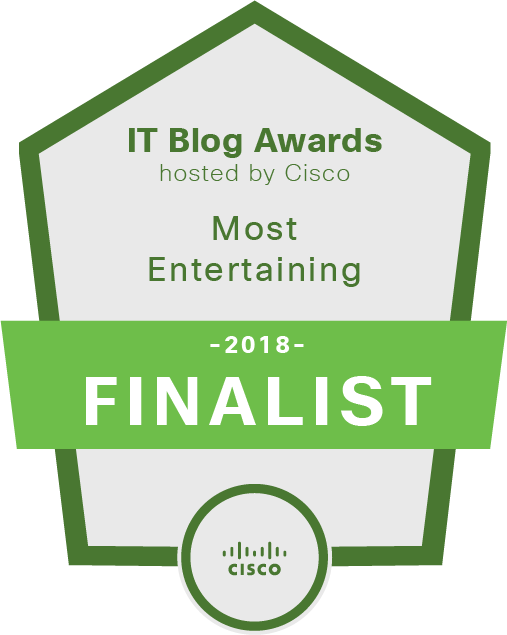 So in fact, although Cisco does give you a helping hand for the start of your studies, it can still be just as tricky to get the full resources. If anything it’s worse, because plenty of people just assume that the official book for the exam will therefore cover all the topics to 100% of the detail needed. Still, wouldn’t it be cool if there was one centralised online resource pool, that contained as close to everything you’d need to know to pass the JNCIP-SP? In fact, wouldn’t it be incredibly awesome if one guy, one brave man, preferably a handsome man named Chris Parker, tried making that central resource himself, based on his own studies, so that other people can benefit? WELL GUESS WHAT: that’s exactly what I’ve done! Wow, what a coincidence! It took me a fair old while to find all these resources, so I thought it would be worth sharing the love, and giving you the central resource that I wish I’d had when I started my studies. I’ve done this because I’m not only passionate about the technology, but enthusiastic about Juniper’s certs in general. Hopefully putting all of this in one place will encourage people to give it a go, or at the very least buy a book or two that they might not have otherwise heard about. YOU’LL HAVE 100% OF THE KNOWLEDGE YOU NEED TO PASS THE EXAM. 2) THESE BOOKS AND LINKS IN NO WAY REFLECT THE QUESTIONS I SAW IN THE EXAM. This is purely a reading list based on the syllabus. This resource isn’t just here to help you pass the exam: it’s here to turn you into someone who can proudly and confidently claim that they are operating at JNCIP-SP level. Now, on first glance it might seem like there’s a lot of books below, perhaps even an overwhelming amount. Are you really expected to read about 5,000 pages of text to pass the exam?? Well… yeah, possibly. It’s a very difficult exam, that covers a lot of topics in great depth. Remember, this cert is one level away from the expert level, so you really are expected to know your stuff. But also, the reading list isn’t as bad as it seems. Yes, there’s four main study books, but if you’re going for the JNCIP then you’ll know most of the stuff in the early chapters of the books already, so you’ll storm through that. And yes, there’s about seven other physical books, and about four e-books, but again, you don’t need to read every word of every page. There’s plenty of chapters you can return to when it’s JNCIE time, and not all the chapters are mandatory. — These four books are old as heck. Like, over 75,000 (fifteen) years old. As such, there’s some topics in here that you don’t need to know about, and plenty of topics that are missing from the current syllabus. However, the topics that these books do cover are done brilliantly, and should absolutely, unquestionably be your first port of call when you’re hitting the JNCIP-SP exam. 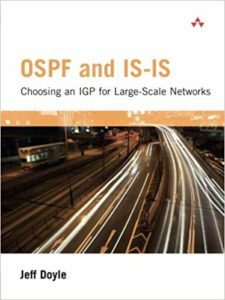 OSPF, IS-IS, MPLS, BGP, L3VPN, L2VPN, multicast, CoS: there’s tons of stuff in here that you *need* to read. Don’t be fooled by the names of these four books: they were written back when the exams were very different, so the certification named on the front cover bears no resemblance to the current exam. For example, in the JNCIA book you’re actually going to find the guide to Multicast, which nowadays isn’t even covered until JNCIP level. And even the stuff that is covered in the so-called JNCIA level goes way beyond what you’d expect a JNCIA to know in 2018. These books are all out of print now, but you can get a lot of them 2nd hand for about £20 on your favourite online bookstore of choice. The JNCIA and JNCIS books explain the theory, in a lot of detail, with plenty of configuration examples, debugs, packet captures, and live analysis from various “monitor traffic extensive” style commands. The JNCIP book is dedicated to troubleshooting OSPF, IS-IS and BGP, so you’ll get a lot out of the stuff in that book too. I haven’t read the JNCIE book (yet! ), but it seems to take many JNCIP-SP topics to the next level – MPLS, multicast, CoS, etc – so again, well worth acquiring and devouring. One bit of advice: the books include detailed packet breakdowns, header by header, which in theory is great, because it’s essential knowledge. But the way it’s laid out on the page is SO INCREDIBLY DIFFICULT TO UNDERSTAND. My advice: when the book starts explaining headers of PDUs, LSA, Hello messages etc, do a Wireshark packet capture of your own, or Google for one that someone else has done, and refer to that. It’s so infinitely easier to read a pretty colourful Wireshark capture than it is to follow the way they’re laid out in these books. 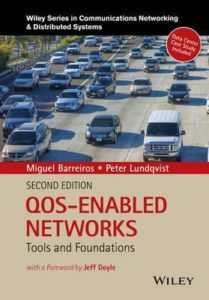 — Contains chapters on QoS, EVPN, Using OSPF in a L3VPN, and route reflectors. Leave this to the end of your studies – the chapters in this book are meant for people who know the basics, who already understand a technology, and want to learn a cool new thing about it. But definitely do come back to it – the Ambassadors Cookbooks are a rich and varied source of real-world problems and config examples. — Haha, a shameless plug! Give these three pages a read to find out how IS-IS functions, how it’s different from OSPF, what the packets are like, and the cool things you can do with it. I like to think it’s a good primer! — What a brilliant and readable book this is. You might remember Jeff Doyle as the man behind the mighty CCIE books, and boy does my guy Jeff know his stuff. Read this book cover to cover and you’ll be bullet-proof when it comes to IGPs. The only caveat I’ll give to this book is this: as very readable as it is, I wouldn’t go into it knowing absolutely nothing about IS-IS. Give my primer a read first, and then buy and read this brilliant book. I actually used the old JNCIx books to learn the details that I needed, as well as ton of hands-on lab time of course! The JNCIx books really do a great job of explaining the concepts to a great level of detail. If you’re lucky enough to have a CBT Nuggets subscription through your work, I found Jeremy Cioara’s BGP guide massively helpful when I was first learning it. It’s entirely Cisco focused, but the concepts are all the same. And of course, the Juniper website itself has extensive documentation on BGP. — Although I’ve not read 100% of this one, the pages I have read are incredibly clear and engaging. QoS is a famously dry topic, and still one I struggle with. But this book here seems like the real deal. Definitely worth a purchase, and one I will 100% be reading in prep for the JNCIE. — This O’Reilly book can also be a little tricky at times, but my advice to you is to take it slow, and to not be afraid to stop and google concepts as you go. if you do that, then I think you’ll find this chapter really rewarding and enriching. — This is basically a PDF that collects every single article (I think) on Juniper’s website relating to class of service. Advantage: extremely thorough, and contains tons and tons of information. Disadvantage: even though this PDF looks like a book, it isn’t a book at all – it’s just a collection of all the articles on the Juniper Knowledge Base. As such, reading it in a linear fashion can be a bit jarring, because the chapters don’t flow – after all, they’re not chapters at all, just a collection of web pages in one massive 800 page PDF. If you didn’t know that, this PDF would be hella confusing. But now that you do know that, I think you’ll find it a really valuable resource for both CoS theory and CoS configuration. — Pretty much the definitive guide to multicast. Contains both Juniper and Cisco examples, which is great for finding out those inter-vendor quirks. You’ll definitely be wanting a copy of this. YOUTUBE: Decoding Packets: Deep-Dive Into Multicast. — This channel takes such a detailed look into multicast that it’s often at CCIE/JNCIE level. They build a big topology, talk you through debugs/traceoption and packet capture output, and thoroughly cover the various messages that go back and forth. Honestly, I’d watch this before anything else. A truly brilliant explanation of many – not all, but many – of the concepts you’ll be expected to know as a JNCIP-SP. 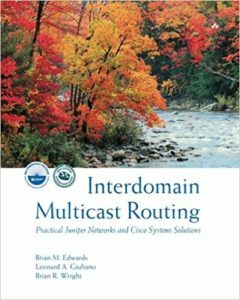 — There’s a whole chapter in this book dedicated to multicast. As I mentioned above in the CoS section, if you’re brand new to the topic then it can be quite tough to read. But if you already understand the basics, and want to get the full picture, then I think you’ll find this chapter really valuable. “Advanced MPLS” isn’t on the list of topics on the front page for the JNCIP-SP cert track, nor is it mentioned on the list of Exam Objectives page for the JNCIP-SP – but scroll down and you’ll see it’s actually listed on the detailed exam objectives. I suspect this is just an oversight, and that Advanced MPLS has in fact been removed. Having said that, whether or not it’s on the official syllabus, you’ll still want to be on top of your MPLS game for this exam, because the connection between LDP/RSVP and L3VPN/L2VPN is obviously very tight. 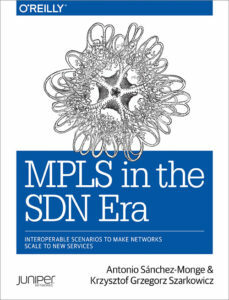 And in any case, these books cover MPLS protocols, as well as the VPN side of things. 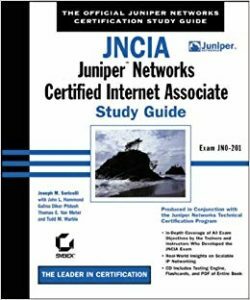 — By far the best place to start for MPLS is the JNCIA and JNCIS books I mentioned above. But once you’ve read that, you absolutely HAVE to read this book. Not only does it explain all the concepts in a very clear way, but it fills in some of the things that the legacy JNCIA/JNCIS books don’t cover, like VPLS. Packed full of output of the results of many different versions of configuration. — We were lucky enough in my day job to get a free copy of this mighty tome, and it’s great. Another very readable book that covers a ton of topics related not only to MPLS, but MPLS applications, like multicast VPNs, EVPN, and so on. I definitely have a better understanding of layer 2 VPNs and EVPN thanks to this book. The only thing you need to be aware of is that this book is extremely difficult to dip into. If you want to skip straight to a particular topic of interest, then you’re going to find it confusing, and potentially frustrating, because the book often describes things assuming you have the knowledge of previous chapters. Please understand, this isn’t a criticism of the book in any way – after all, the book never claims to be one that you can read out of order – but I did find myself at times struggling with certain chapters, until I realised that I had to read it cover to cover (which admittedly I still haven’t – I’m about halfway through it so far). But once I worked that out, I found it all very easy to read, and very engaging. This is an absolutely essential book. It’s even better because it covers both Junos and IOS-XR, despite being written by two Juniper engineers. Difficult to imagine many other vendors doing that! So you get to learn about potential interoperability issues too. A book full of personality and passion. — I’ll be honest, this is a big old book with some heavy concepts. But if you can take it slow, you’ll find a wealth of stuff in here, including some interesting insights on CoS over MPLS. Save this book until last. It’s not an essential book if you’ve read the rest, but if you’re committed to being on top of your game then it can’t hurt to add it to your collection! — Confession: this is one I’ve not yet read. But it’s about EVPN, and it looks fantastic. It would be silly to not include it when I’m attempting to make the most thorough collection of resources for the exam! I’ve had a flick through though, and it looks great. Definitely one I plan to return to. If you have any extra links to add, please leave a comment or email me, and I’ll add it to the list! Class of Service was by far the thing I found the most difficult. 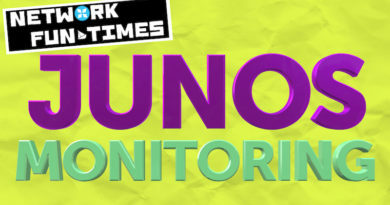 If you have any other links that make any of the Junos-specific stuff clear, please do let me ! As always, thank you very much for reading my blog! If this post was helpful to you then I’d love it if you shared it on your favourite social media of choice. And if you fancy finding out when I make new posts, why not follow me on Twitter? In fact, I’ve got a special offer going on: the next 500,000 people to follow me on Twitter will get a really good feeling for the rest of the day! Be sure to follow me soon, to take advantage of this exclusive deal. Google will find all of them (just limit search to juniper.net). 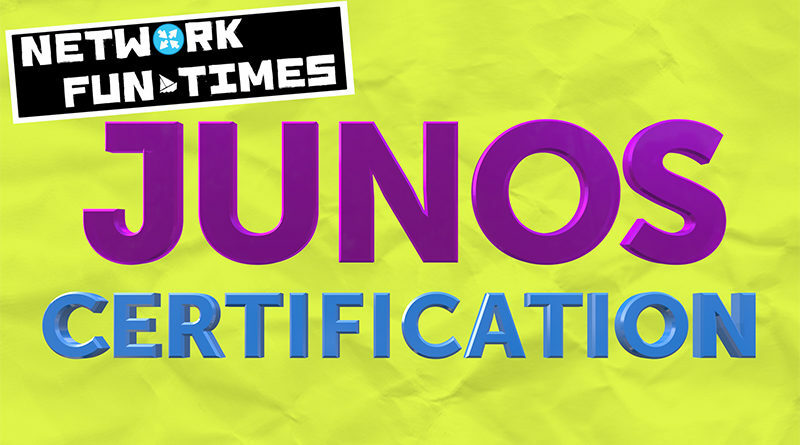 If you like practice exams there are some in the Junos Genius app as well (paid subscription required for those). The actual exams are harder but it will give a definite feel for what is on the test. Aah that’s great! I didn’t want to link to them from elsewhere, but if they’re on the Juniper website themselves then that’s legit for sure. Thank you!